Integration with vanilla screenshots, allowing you to take screenshots normally with F2. 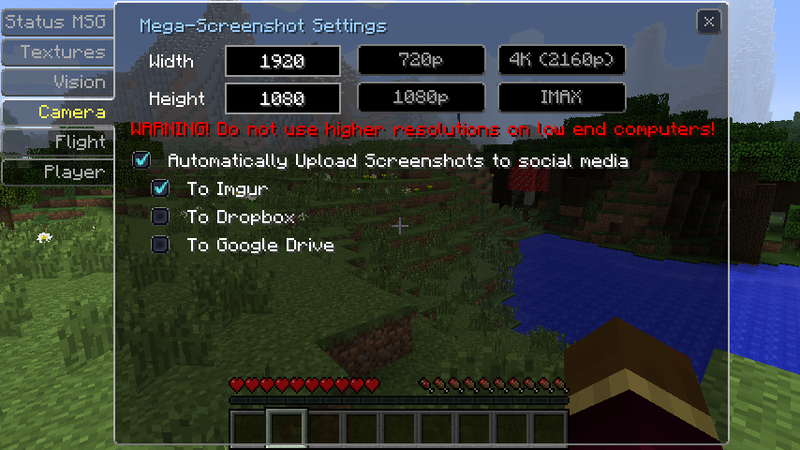 In-game screenshot manager with GUI, and the ability to take HUGE screenshots like back in early Beta. VoxelMap is a full-featured Mini-Map mod for Minecraft featuring Waypoints, Entity Radar, Death Marker and much more. Definitely the best mini-map for minecraft available!VoxelMap is a full-featured Mini-Map mod for Minecraft featuring Waypoints, Entity Radar, Death Marker and much more. Definitely the best mini-map for minecraft available! VoxelVision provides useful visual enhancements for use on creative servers. Featuring full-bright (including "auto full-bright" for use under water), clear weather, clear water, fog distance adjustment and wireframe rendering mode. This mod is a must-have for creative builders.VoxelVision provides useful visual enhancements for use on creative servers. Featuring full-bright (including "auto full-bright" for use under water), clear weather, clear water, fog distance adjustment and wireframe rendering mode. 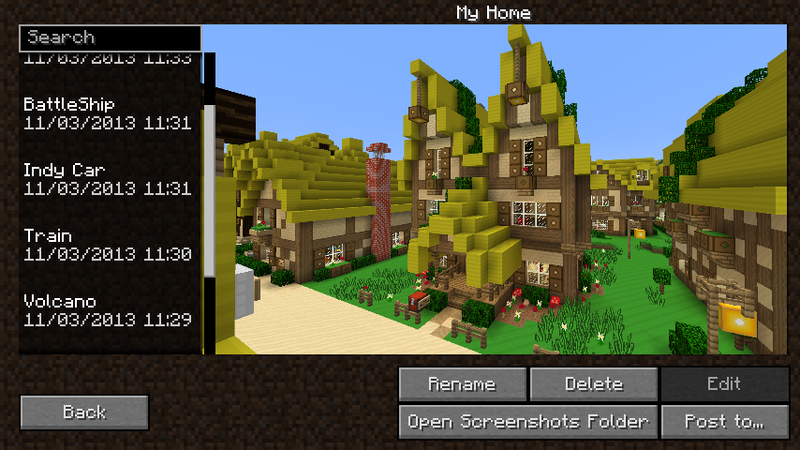 This mod is a must-have for creative builders.